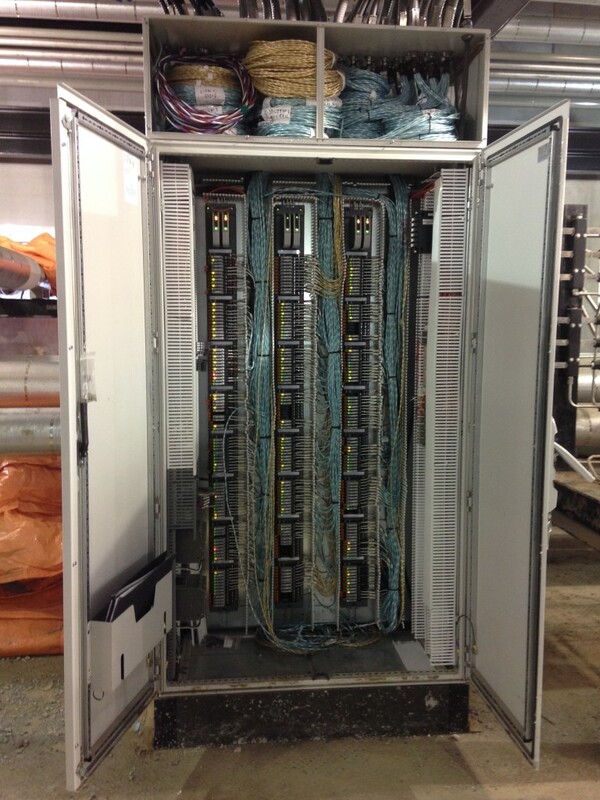 An electrical relay is a switch operated by electricity. Some types of relay systems use an electromagnet to mechanically operate the switching mechanism, and there are other types of relays used as well. When you have a situation where it is important to have a low power signal controlling the circuit, or when you have several circuits that need to be controlled by the same signal, you would use a relay. Relays were first used to transmit across long distance telegraph transmission circuits. A signal could only travel so far, so the incoming signal would be re-transmitted to the next circuit, and so on until it reached its destination. The importance of relay use increased with the invention of the telephone and computer. Telephone exchanges and the first computers made extensive use of relays to perform logical operations. A relay capable of handling the high power needed to directly control a load, such as an electric motor, is a special relay called a contactor. A relay without any moving parts is called a solid state relay, and uses a semiconductor device for the switching operation. When electrical circuits need to be protected against overloads or faults, either relays with calibrated operating characteristics, or in some cases, relays with more than one operating coil are used. Modern electrical power systems use digital instruments to perform these functions, however they are still referred to as “protective relays”. Basically, an electrical relay is just a switch that is controlled by another circuit. A prime example of this is the system you use to start your car. When you turn the key in the ignition, the ignition is not interacting with the car battery directly. Instead, the ignition is actually activating a relay, which must then send the signal on in order for the car to start. There are several reasons why the system is set up in this manner, but that will be discussed later. First let’s find out how it all began. Relays can be traced back to the 1830s. Development of the system increased when the usefulness became more apparent. The earliest relays were often made using electromagnets (many of today’s relays still use these), however solid state relays are preferred for many applications. The major difference between solid state and electromagnetic relays is that the electromagnetic versions have moving parts and the solid state version does not. Electromagnets also use less energy than the solid state types. 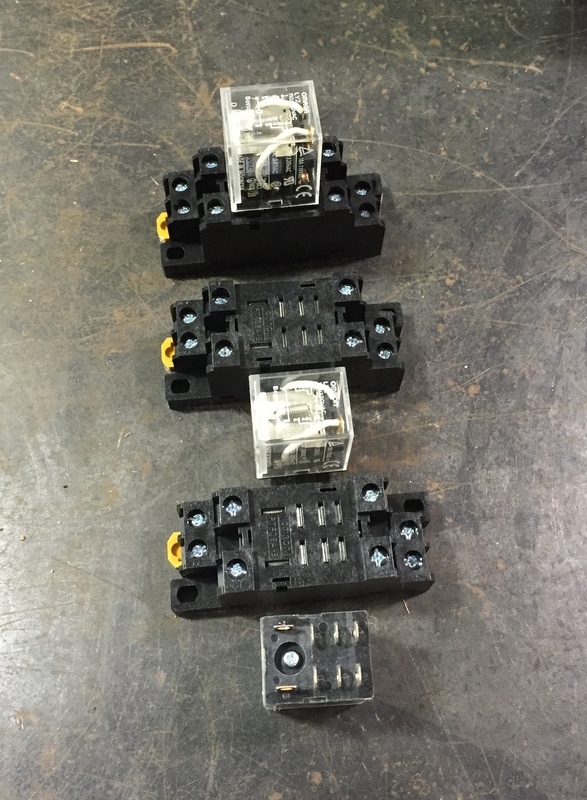 One of the main reasons relays are such popular tools for electricians and engineers is because they can control the amount of output. This is useful because the output is higher than the electrical input received. Back to the car ignition example, if the ignition was directly connected to the battery, you would need heavy duty insulated wiring to make this connection from the steering column to the battery. A much more robust ignition switch would be needed as well. By using a relay, the wiring can be relatively lightweight, which saves space and makes the vehicle much safer. An electrical relay is able to support a variety of circuits. You can use a relay to amplify electrical energy, as demonstrated in the car example, and you can also connect them to devices like alarm switches, which activate when the circuit is broken and thereby sounding the alarm. 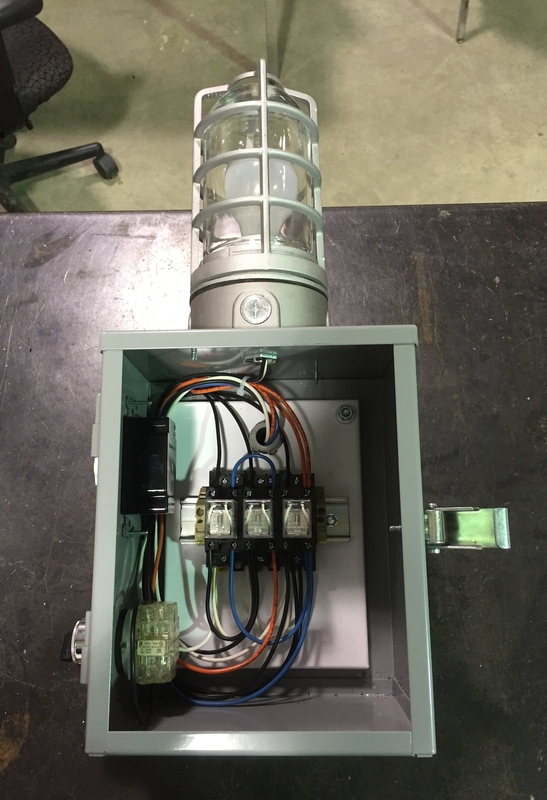 Many electrical fail safe systems use electrical relays in order to turn devices on or off in certain situations such as in the case of an irregular circuit, a current overload or other potential hazards or issues that may occur. The relay will trip and the system will shut down until the problem is fixed. 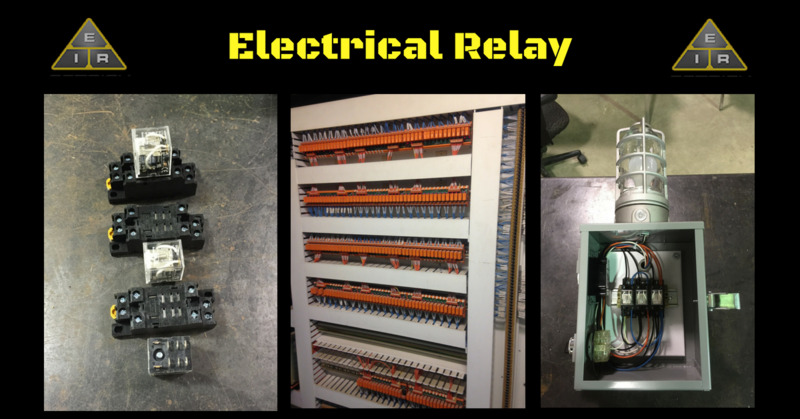 During your work as an electrician’s apprentice, or through your theoretical training, you will probably have many opportunities to dig in and really see how a relay works. Simple electrical relay kits, which may be below your level of understanding, but would be a great training tool for a novice interested in learning about electricity. They usually use small batteries to ensure safety. 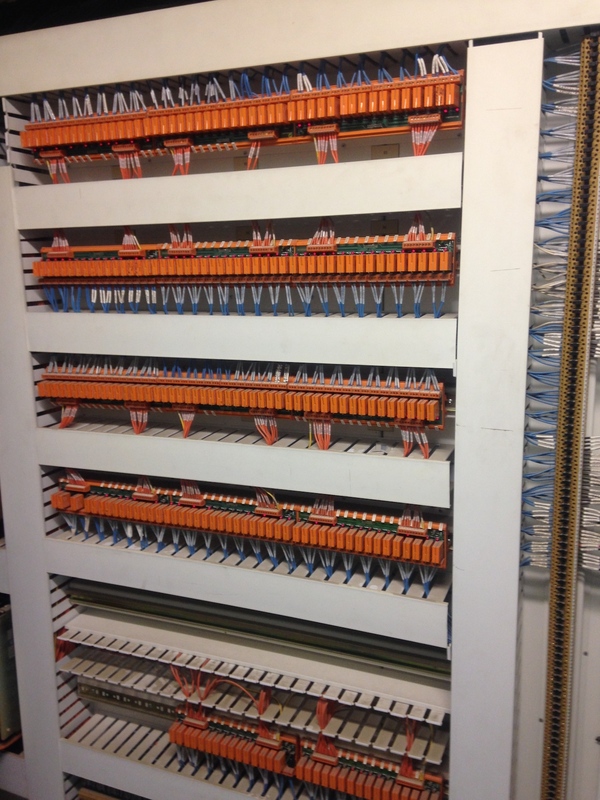 More advanced systems, which allow you to work directly with the current in a wall to build relay switches. Several industrial versions are also available. These are designed to handle heavy duty power for a variety of applications, such as managing the power loads in factories or controlling signaling devices on railroads. When a coil in contactor is energized, it creates a magnetic field that is continuously expanding and collapsing (basically flip-flopping from positive to negative) with direct relationship to the alternating current applied. Due to the alternating flux (magnetic field), the armature and the contacts will rapidly open and close, causing a hum, or “chatter.” Think of the relay getting energized then de-energized 60 times a second, this is why you hear a hum because of how fast it’s happening. Chattering will cause arcing, which will cause a buildup of oxidization on the contacts, thus increasing resistance, and resulting in unwanted heat on the electrical relay. To prevent an electrical relay from chattering, a shading coil is installed, which essentially holds the contacts closed when the coil is energized. There are many situations when you will come across an electrical relay. You may have to install one, or repair one already installed. 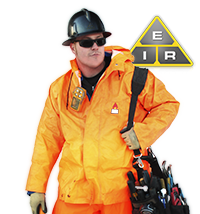 Understanding how they work and why they are important can make your job a lot easier, and ensure the safety of the occupants of buildings where you are working. In order to best help you with finding certified online training, I've partnered with 360 Training.